What is Social Security Doing to America's Youth? IRVINE, CA--(Marketwired - July 14, 2014) - The Ayn Rand Institute is excited to announce a new publication by bestselling author and ARI fellow, Don Watkins. 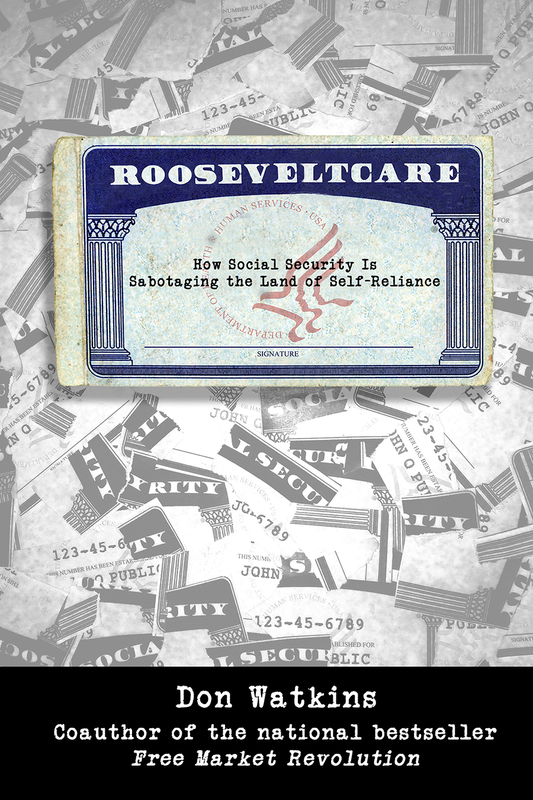 In RooseveltCare: How Social Security is Sabotaging the Land of Self-Reliance, Watkins reviews the history of America's entitlement state and concludes that, far from being a great achievement, Social Security has been one of America's worst mistakes -- one that is drafting an entire generation of Americans into an unprecedented amount of debt. In RooseveltCare, Watkins corrects the common historical narrative: contrary to what we've all been taught about what life was like before Social Security, Americans flourished. The entitlement state was created, not to keep people from starving in the streets, but in the name of an ideology hostile to the American ideals of individualism, capitalism, and limited government. The result was a growing entitlement state that has undercut economic progress, made millions of Americans dependent on government, and is leading us toward a debt crisis that could plunge America into a new depression. "This is not another book for policy wonks," Watkins says. "It tells the story of the role that Social Security and the entitlement state have played in eroding the eagerness, energy, and optimism that once defined America. And it is a guide for fighting back." This is the moral case against Social Security as you've never heard it. Don Watkins is co-author, with Yaron Brook, of the bestselling book Free Market Revolution: How Ayn Rand's Ideas Can End Big Government and host of the podcast The Debt Dialogues, which features many of today's leading experts on the entitlement state. For more information on Objectivism's unique point of view, go to ARI's website. The Ayn Rand Institute promotes the philosophy of Ayn Rand, author of Atlas Shrugged and The Fountainhead.